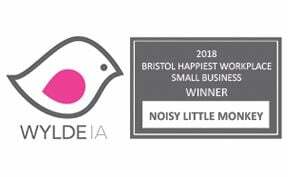 Double bank holiday – whoop! 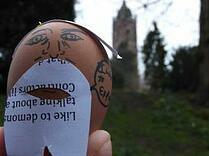 To celebrate, we give you our ‘Eggspired or Eggspat?’ game. The rules? Well it’s simple. Each egg is painted to represent a famous person associated with Bristol. All you have to do is guess who they are and let us know your answers via Twitter (making sure to use the hashtag #MonkeyEggs), on Facebook or in the comments below. What are you waiting for? Grab your families and get guessing! This guy is a bit of an eneggma. Famous the world over, is he an artist or a public menace? 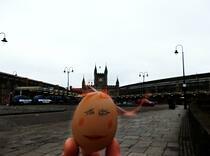 This egg played a fundamental role in the succeggs of Bristol during the Industrial Resolution. His work spans the UK connecting people via both land and sea. 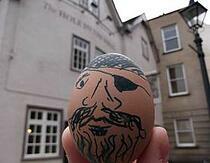 This Italian born egg sailed the seas in search of sand, sea and seggs. One of Bristol’s shopping centres now bears his name. America, on the other hand, doesn’t. This literary genius was born just outside of Bristol and helped raise the profile of the city using magic and wizards. Eggspelliarmus! 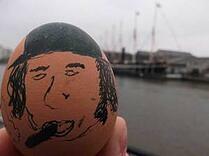 Known for his broad West Country accent and bizarre quotes, this egg is famous for heading up one of Bristol’s football teams. 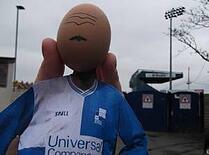 He really egged them on from the touch lines. Things are no longer a little chilly for this three-time World medallist and four-time British national champion who retired in 2000. 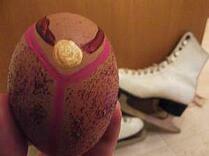 He’s never eggselled at the Olympics. Owner of a ship called Queen Anne’s Revenge, this egg would likely hold you to ransom and may refer to you as a ‘Pretty Polly’ in a rather derogatory fashion. 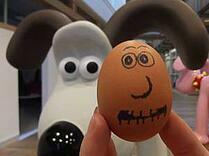 He wouldn’t be yolking. Fancy some cheese? You may have to get in there quick before this animated character ‘nicks’ it all to put on his crackers. How did you do? Remember, tweet us using the hashtag #MonkeyEggs to tell us your answers on Facebook or in the comments section, below. Brace yourselves for the results on Tuesday! 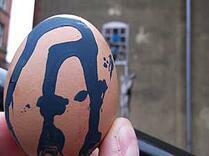 *You won’t win any Easter eggs. You might some stickers. And a flying Noisy Little Monkey which will scare the cat.